Ornamental Aluminum Fence is about as good as it gets. It’s beautiful, the pain finish stands the test of time, and it’s just plain functional. If I could install only once product for the rest of my life it would be Elite Ornamental Aluminum. When it is installed properly it is the most attractive fence product we offer, in my humble opinion. 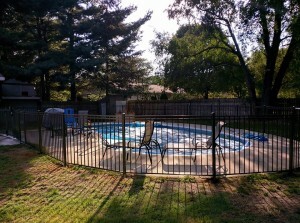 If you are having a pool fence installed you have many choices to make. Vinyl will offer privacy at a high price. You can also get privacy from wood if you don’t mind the maintenance. Chain link offers security as well as a great field of vision so you can see what is going on in the pool area, but it’s not all that attractive. But Aluminum is attractive, functional, maintenance free, and just plain the greatest product ever. Every company sells their own brand, so do yourself a favor and google a few fence companies, call a few and get estimates. Pick the company you go with based on a feeling of trust, not price. You get what you pay for. Our brand of choice is Elite, but there are several good brands out there. Keep in mind that Aluminum may take a few weeks to get in stock because there are so many different styles and colors. 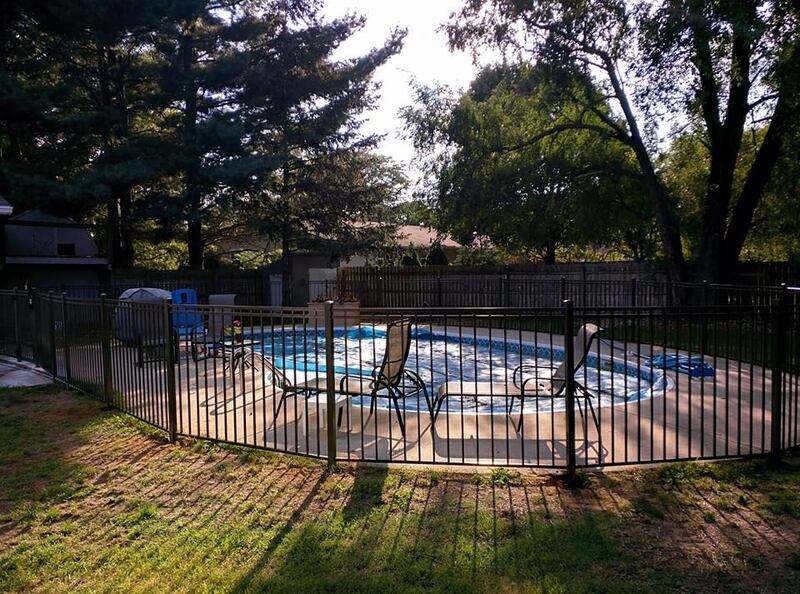 If you chose wisely your pool deck will be the talk of the town, a pleasure for parties, and be beautiful for many years to come. Informed Shoppers are the best customers. Protect yourself, get informed. No Fence beats a Pro Fence. Make sure to check out more pics on Our Google+ page, our Facebook page, and our Twitter page. This entry was tagged Aluminum, fence, pool. Bookmark the permalink. ← Vinyl Fence, Do you buy from a box store or fence company?